Liverpool is not just a city; it is now a cultural hub and tourist destination that surpasses all expectations and whose visitor numbers are increasing year on year. 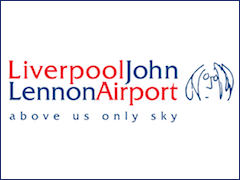 Liverpool John Lennon Airport, is only 15 minutes away from the city centre and handles 5 million passengers per year, both for tourist and business reasons, with flights to and from over 60 destinations around the world. Its known as being the ‘Fastest, Easiest and Friendliest’ airport in the country and is recognised for its relaxed and hassle free environment, yet providing high class operational performance. There are so many great things about this city, but the best thing is the city itself. Its architecture is stunning and has some of the most iconic buildings in Great Britain. ‘The Three Graces’ as they are known have dominated the sky line for many a year. They are actually called The Port of Liverpool, Cunard and Liver Buildings. When you look at the view from the famous River Mersey now, it is even more spectacular; with modern mixing with traditional, giving it one of the most unique city aspects in the world. The River Mersey is not just a piece of water, it is the life blood to the city and the shipping industry has been crucial to its growth. ‘The Docks’ as they are known, provided millions of jobs and brought prosperity to the city. That is why the Albert Dock Development, The Maritime Museum, The Marina and even The Ferry Across The Mersey are so important to the growth of the city. No matter which way you turn you will see spectacular buildings everywhere; The Museum of Liverpool, The World Museum, St Georges Hall, The Town Hall and The Walker Art Gallery plus many more. Towering over and looking down on the city, as if protecting their flocks; are the Metropolitan and Anglican Cathedrals, two unbelievable buildings. These are even more examples of the contrasts in styles of construction around the city. The outside of these buildings are impressive, but the insides are breath taking. Liverpool is not all about history and the past, it was growing and becoming a modern European city anyway, but since being Capital of Culture in 2008, it has been spring boarded into one of the most popular destinations in Europe. When the UK had one of the largest property price gains at the start of 2000, Liverpool was apart of that, but when the rest of the country slowed or in some cases dropped, this city didn’t, as it was experience such growth. 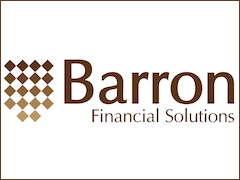 Therefore, property investment has been and still is a very lucrative market in the city, especially for apartments and rental properties. Liverpool One Shopping Centre, The Met Quarter, 5 Star Hotels, Conference Centres, Top Restaurants, Spa’s, Salons, High Class Bars and Clubs have turned the city into a stylist and vibrant destination, with very few equals. Whether visiting Liverpool on a business trip, a family holiday or a weekend break with friends, we know how important it is to find a hotel that’s not only convenient, but comfortable and stylish too. 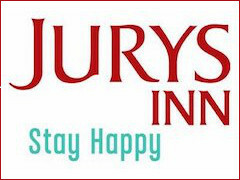 At the Jurys Inn, located next to the Albert Dock, we offer everything you need – from spacious rooms to an on-site restaurant and free hotel-wide WiFi – so you can make the most of your visit to this cultural, historic city. One of the best restaurants in the city is Gusto at The Albert Dock it combines traditional and modern Italian style cuisine served in a grade three listed building, blended with a modern art deco interior, accompanied by a quay side terrace overlooking the water in one of the country’s most popular tourist attractions. Another great restaurant, with amazing entertainment too, is Revolucion de Cuba, in the Albert Dock, which is spread over two stunning floors of rum bar and unrivalled cantina. With a sun terrace for dockside cocktails and dining, you could almost be on Havana’s famous Malecón. It is also now a city of spectacular occasions too, with events such as; The International Music Festival, The Giants, International Business Festival, Brazilica Carnival Day, Pride Festival, Light Night and many more. It is easy to see all Liverpool has to offer as there is a variety of ways to do it; Open Top Buses, Cabs, Bikes and Walking Tours etc. You can simply go to this great city, shop and then have a great night out, but it would be a shame not to take some time to learn a bit more about this amazing place. It has the history with its involvement with; The Slave Trade, The Titanic, The Cotton and Tobacco Industry and Music etc. You cannot mention the word Liverpool and not think of the most famous group ever ‘The Beatles’. You can visit where they lived and the places made famous through their song; Strawberry Fields and Penny Lane etc. Plus there is the Cavern Club, Beatles Museum and many different types of tours, a must for any Beatles fans! 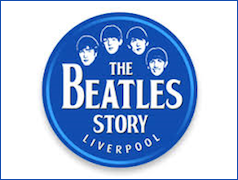 One of the best ways to find out more about The Fab 4 is go to the award-winning Beatles Story, the world’s largest permanent exhibition purely devoted to the lives and times of The Beatles. 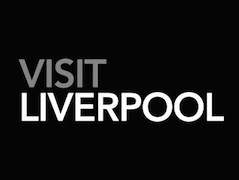 It is located in The Albert Dock and takes visitors on an atmospheric journey through the lives, times, culture and music of The Beatles. The other thought that comes to mind when thinking about Liverpool is football. Liverpool and Everton Football Clubs have fans from all around the world and they flock to the city to not only watch them play, but go on Stadium Tours too. Whether you’re a ‘reds’ or ‘blues’ supporter does not matter as the atmosphere at both grounds is electric and not to be missed. It’s not all football though; it has famous boxers, athletes and gymnasts and holds international Golf, Tennis and Triathlon events, not forgetting The Grand National at Aintree Race Course too. Tourism and especially the Education Centres have brought people from every part of the world to Liverpool. This has changed the city so much; with the different languages, culture, food and interests they bring with them. Liverpool and its surrounding areas have so much to offer and it is so easy to make friends, even call your home, that many do not leave. The old stereotype happy, funny and warm ‘scouse’ welcome, is still very much there, but its multi-cultural population and stylish growth, means you will receive it from many different types of people, not just Liverpudlians!